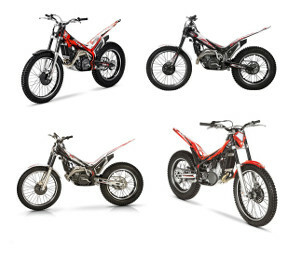 The latest BETA two stoke trials bikes, 250cc, 300cc and 300cc SS. For the younger riders, EVO 80cc Senior, EVO 80cc Junior, Mini Electric XL, Mini Electric 20", Mini Electric 16"
View our second hand bikes and trial bike trade-ins are welcome. Observed Trials riding (also called Footups) in South Africa is a motorsport of balance, skill, throttle control and overall mastery of a motorbike. 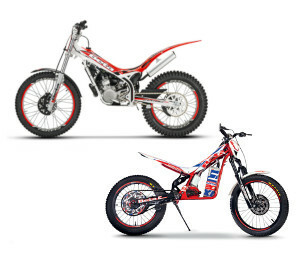 Trials uses specialised bikes which are light weight and geared to maximum torque for instant power. The Trials sport accommodates multiple skill levels from entry level to the ultra stilled. 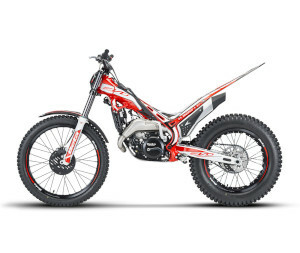 Should you want to improve your motorbike technical skills, either to compete in the Trials Clubs or to improve your skill for competing in various offroad biking, such as enduro and motocross, then learning the skills of trials riding will give you a vast advantage. There are clubs operating in Gauteng and groups in Durban, East London, Barberton and Cape Town.